Mrs. Davisson’s Pre-K class was the most well-protected class in the world today, as several superheroes–led by SuperAlan–showed up for the Halloween party. 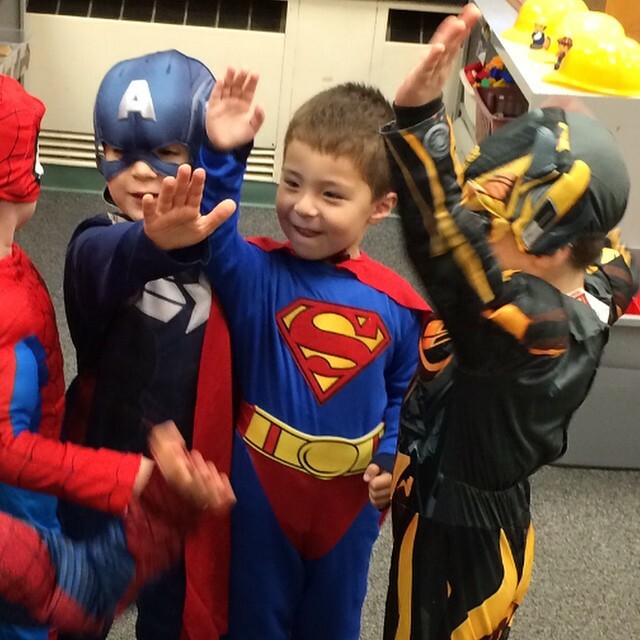 The superheroes huddled up before breaking for a parade around the classrooms of St . Clare!